In appreciation of his hard work, integrity and successful reconciliation of aggrieved members, Pharm. Ahmed Yakasai, president of Pharmaceutical Society of Nigeria (PSN) has been described as a matchless bridge-builder. 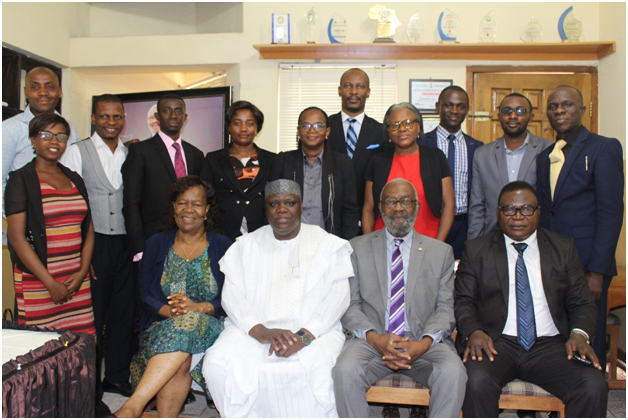 This much was said by Sir Ifeanyi Atueyi, managing director, Pharmanews Limited during a courtesy visit by the leadership of the Society to the office of the media house in Lagos on 14 March 2018. L-R: Sir Ifeanyi Atueyi, managing director of Pharmanews Limited, in warm embrace with Pharm. Ahmed Yakasai, president of Pharmaceutical Society of Nigeria (PSN) while Pharm. Emeka Duru, national secretary, PSN, looks on. Atueyi, expressed his admiration for Pharm. Yakasai, for his sheer commitment to the cause of pharmacy and pharmacists in the country. His concern for the elders of the profession was demonstrated two years ago when he granted free hotel accommodation to elders aged 75 years and above attending the PSN conferences. This caused the elders to be praying for him. The Pharmanews boss also cited other instances where the PSN president has shown quality leadership traits, some of which included his reconciliatory moves that had seen aggrieved bodies close ranks and drop litigation cases against the Society. 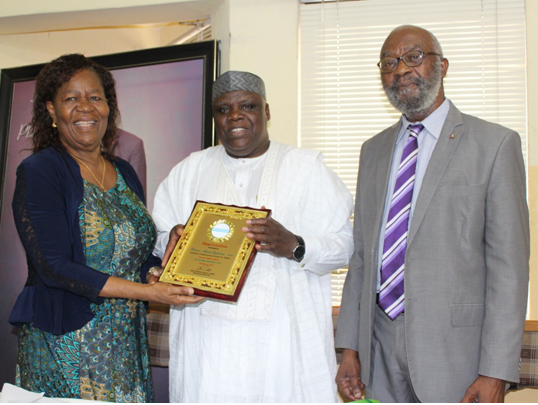 L-R: Lady Joan Atueyi, wife of the publisher, presenting an award of excellence to Pharm. Ahmed Yakasai, president, Pharmaceutical Society of Nigeria (PSN) while Sir Ifeanyi Atueyi, managing director of Pharmanews Limited looks on. Beyond that, Atueyi recalled that Pharm. Yakasai has successfully resolved the protracted difference between doctors and other healthcare practitioners by consistently preaching inter-professional collaboration. “In fact, I was fortunate to be nominated by him to chair one of such inter-professional collaboration committees last year. He has also done well by restoring peace among warring pharmacists in Anambra (my State) PSN at a period when the branch was seriously disillusioned. “That is why I call him a bridge-builder and non-tribalistic personality. Whether you are Igbo, Yourba or Hausa, he does not want to know. 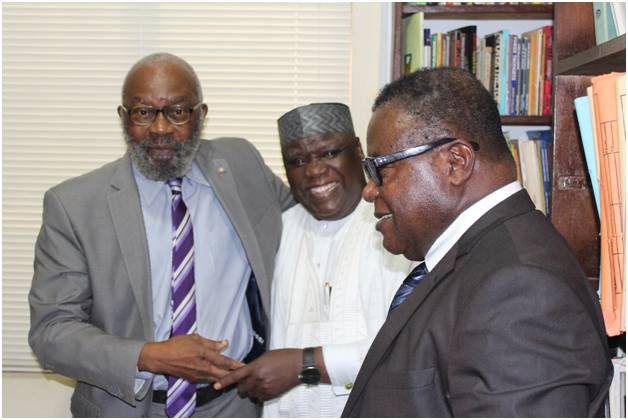 L-R: Prof. Bolanle Aina, dean, Faculty of Pharmacy, University of Lagos; Pharm. Emeka Duru, national secretary, PSN; Pharm. Ahmed Yakasai, president of Pharmaceutical Society of Nigeria (PSN); Sir Ifeanyi Atueyi, managing director of Pharmanews Limited, his wife, Lady Joan Atueyi and Dr Arinola Joda, national publicity secretary, PSN. 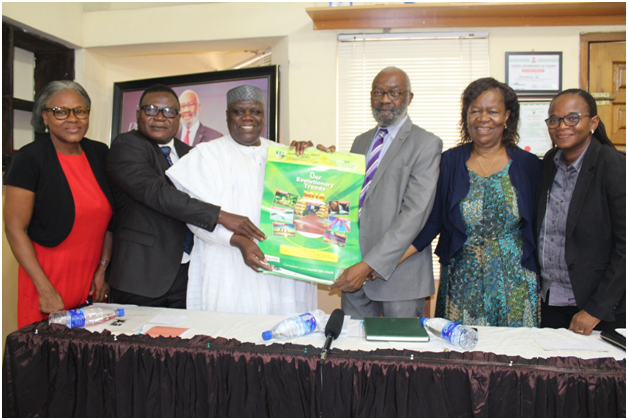 Sir Atueyi who has attended PSN national conferences without interruption for 44 years from 1973 to 2017, remarked that Yakasai was the second president to visit Pharmanews Ltd, the first being Pharm. Yaro Budah in September 2001. The coincidence is that the personalities are the only two Northerners so far to serve as PSN Presidents. 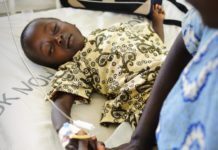 Yusuff Moshood, editor of Pharmanews Limited seemed to be in agreement when he revealed that many critics sometimes questioned his editorial judgment on why Yakasai keeps making the front page of the publication. 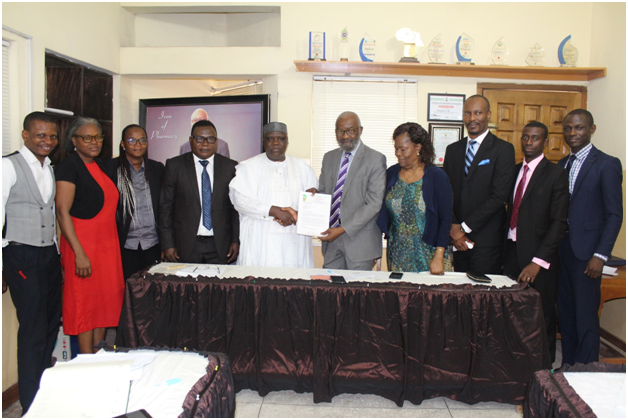 Pharmanews management and PSN delegation during the presentation of commendation certificate to Sir Ifeanyi Atueyi. “It is not a deliberate attempt. In this line of business (news reportage), personalities make the news. The truth remains that Yakasai is somebody that is always seen making things happen and you cannot ignore such character. “I must not also fail to mention that ever since I joined Pharmanews, I have never seen a PSN president who has made so much news like Yakasai. I am not making this up simply because he is in our midst,” he stressed. Presenting a certificate of commendation to Pharmanews, the PSN boss applauded the entire media team for showing commitment and dedication to their job. A cross-section of both Pharmanews staff and PSN delegation. “Aside your boss, I have been privileged to come across Pharmanews reporters. Whether it is health or pharmaceutical event, you are always there and timely too. “At a point, many people think all your reporters are pharmacists because of their in-depth analyses and active participation at such event,” he remarked. The highlight of the courtesy visit featured a presentation of award to Yakasai by Lady Joan Atueyi, wife of the publisher for his unflinching support to the media house. Next articlePresentations of a facial lesion that warrant referral include? Pharm. Ahmed Yakasai FPSN, FNAPharm, is indeed a bridge builder par excellence and deserves all the encomiums and award from PHARMANEWS. Thank you PHARMANEWS for recognizing and rewarding excellence. Another feather to d cap of Pharmacy’s enigma. Congratulations Mr.President.